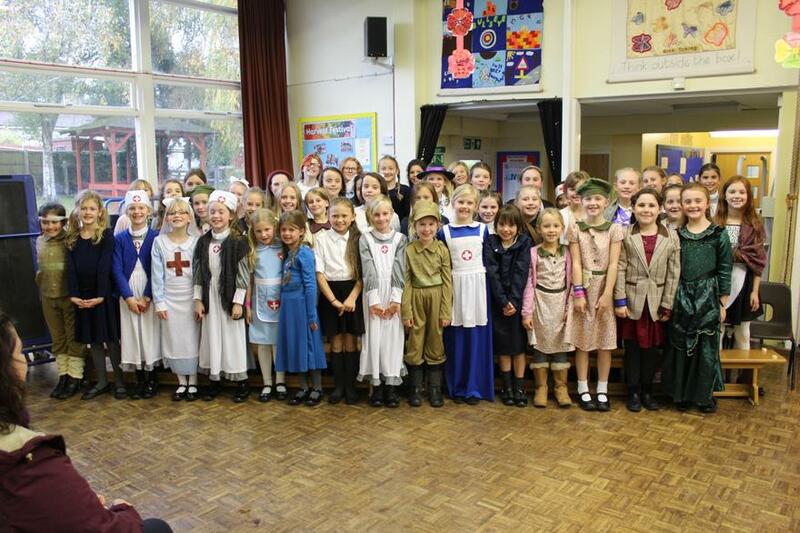 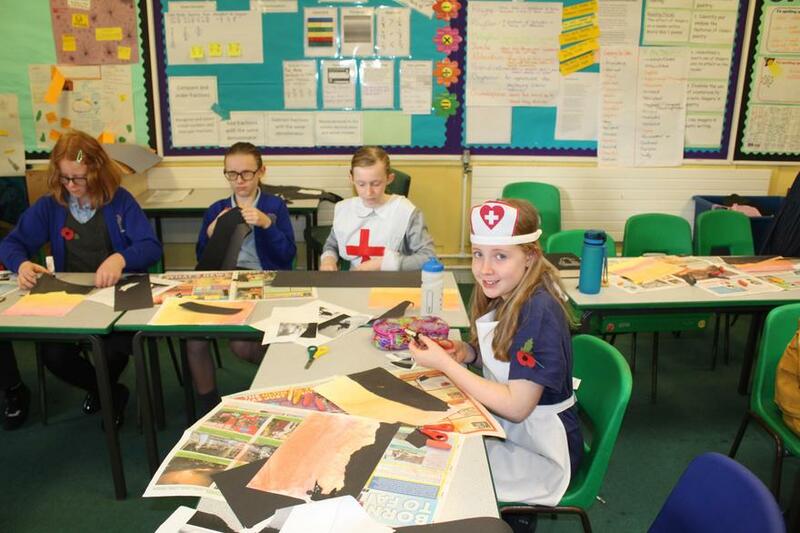 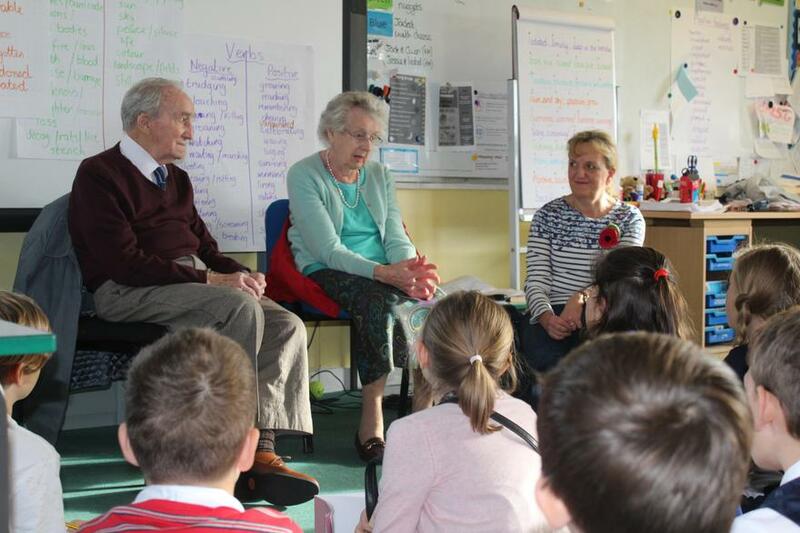 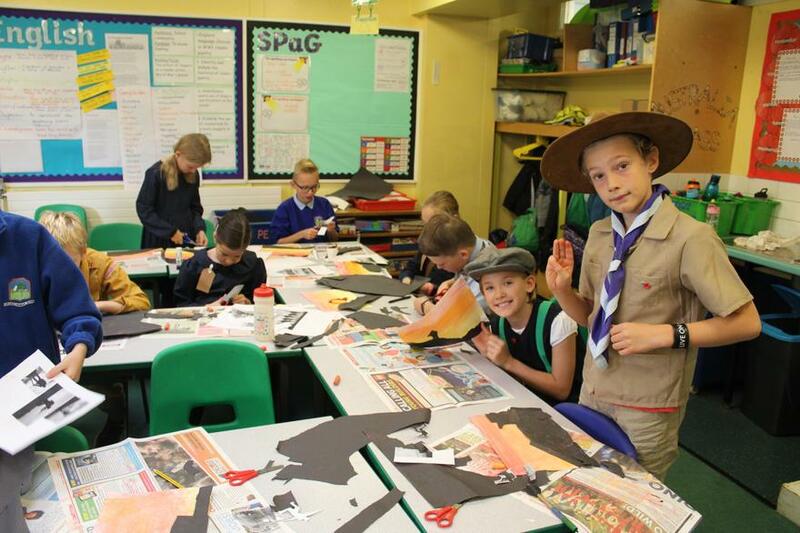 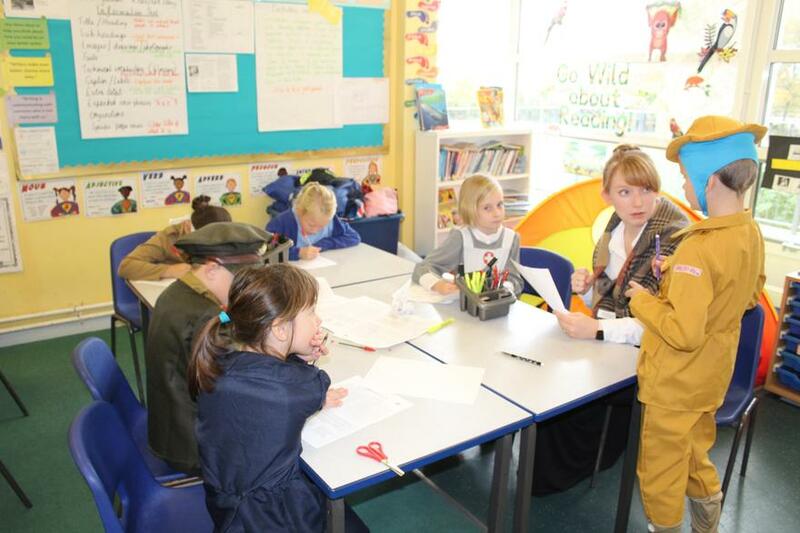 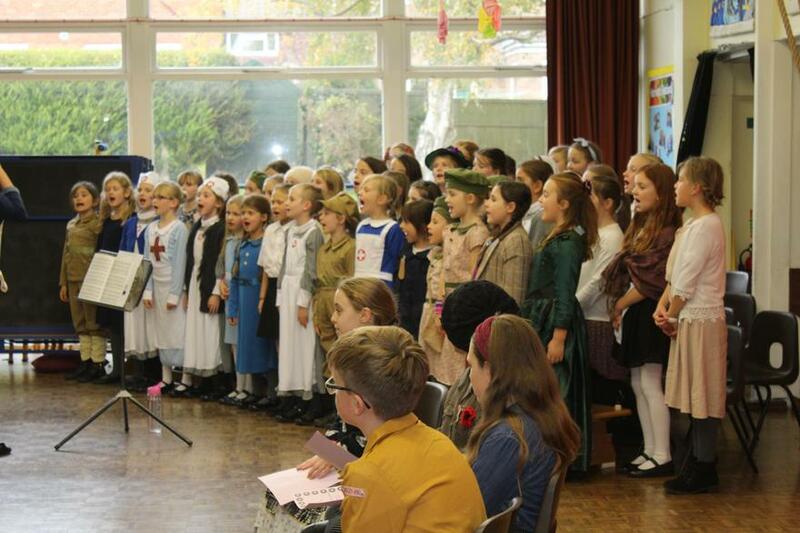 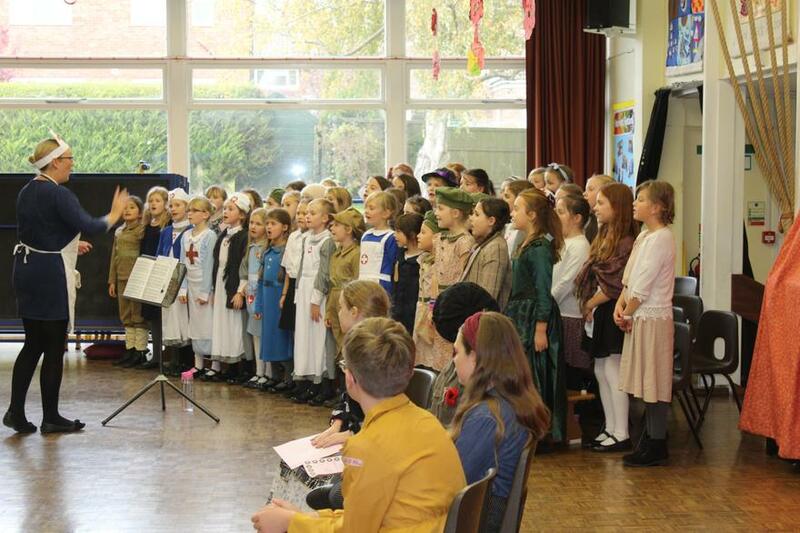 On Friday 12th November Uplands Primary remembered those that gave their lives in both World Wars. 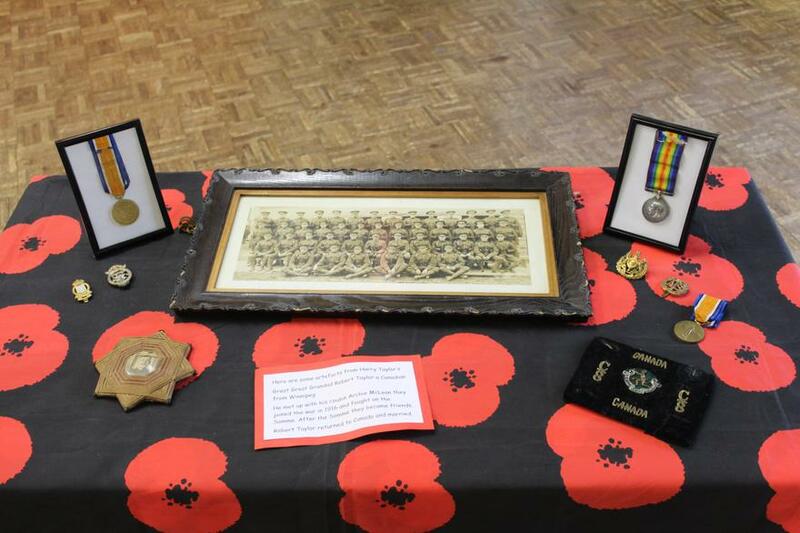 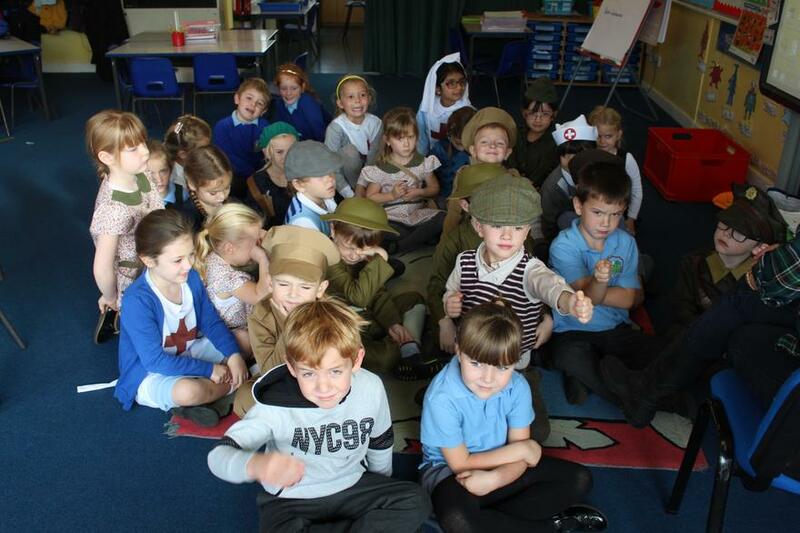 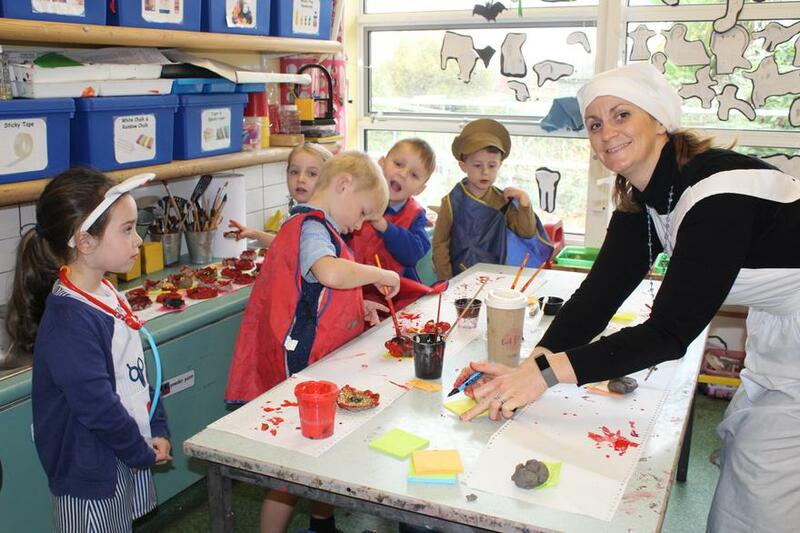 The children learnt about the sacrifice that was made by so many. 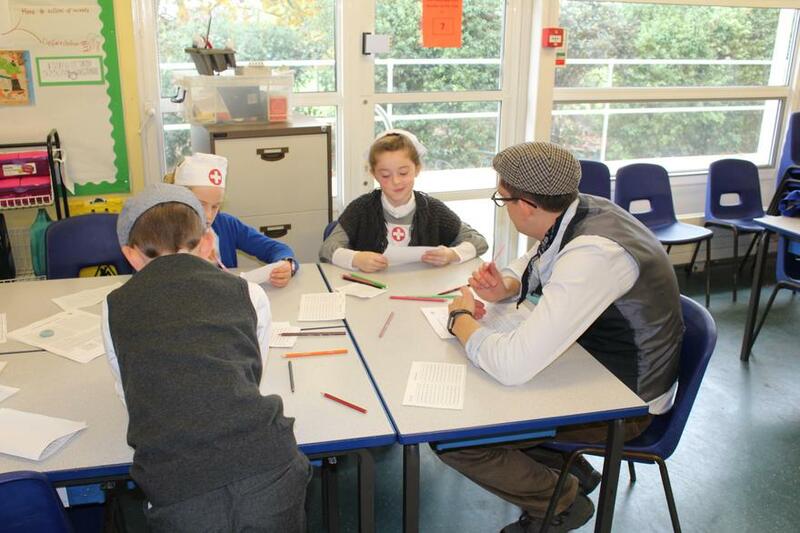 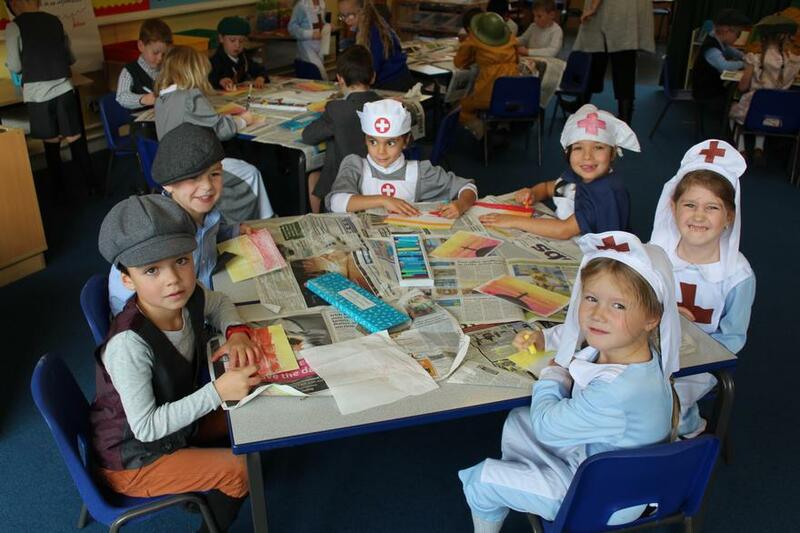 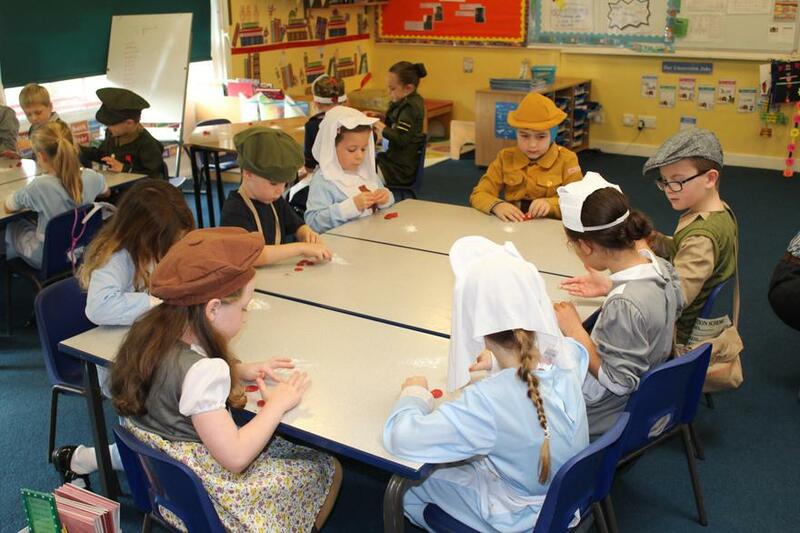 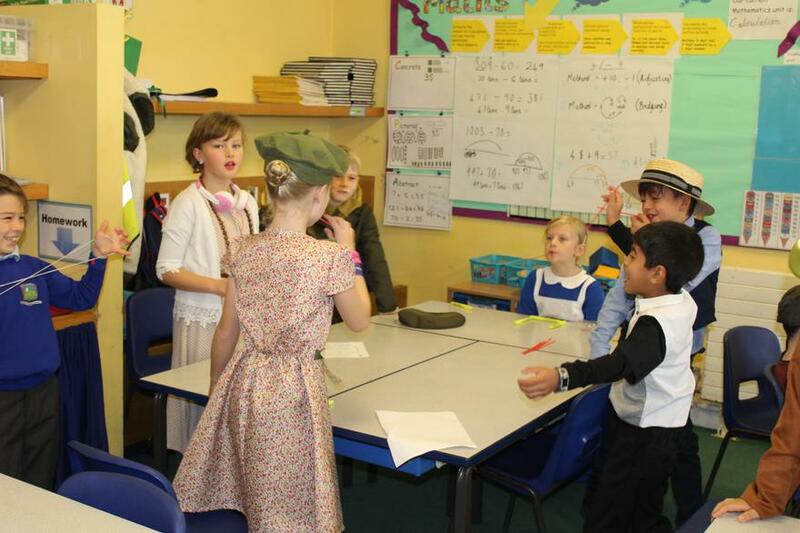 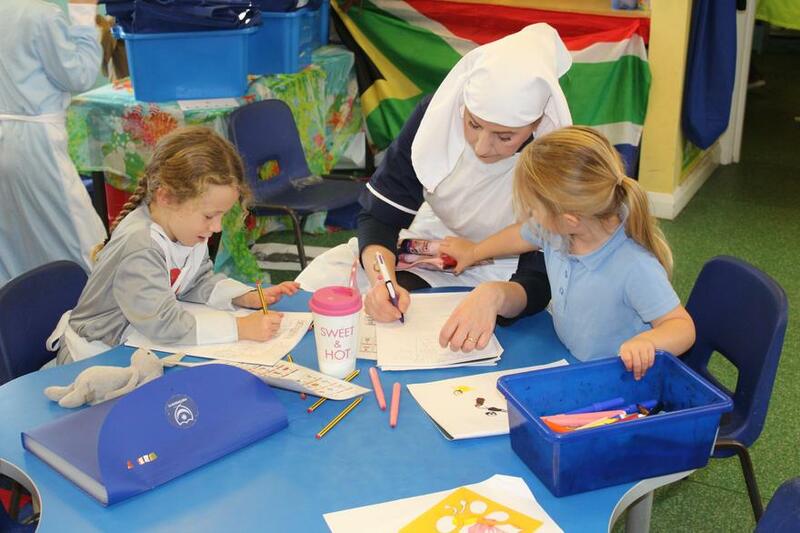 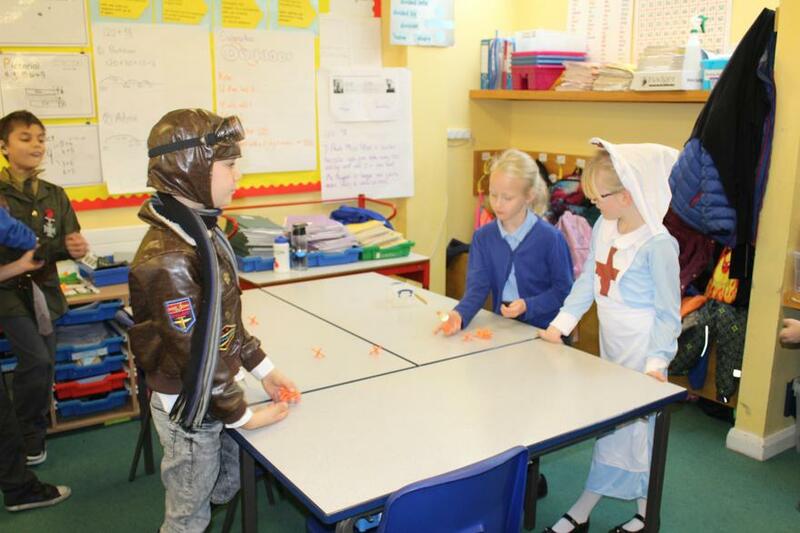 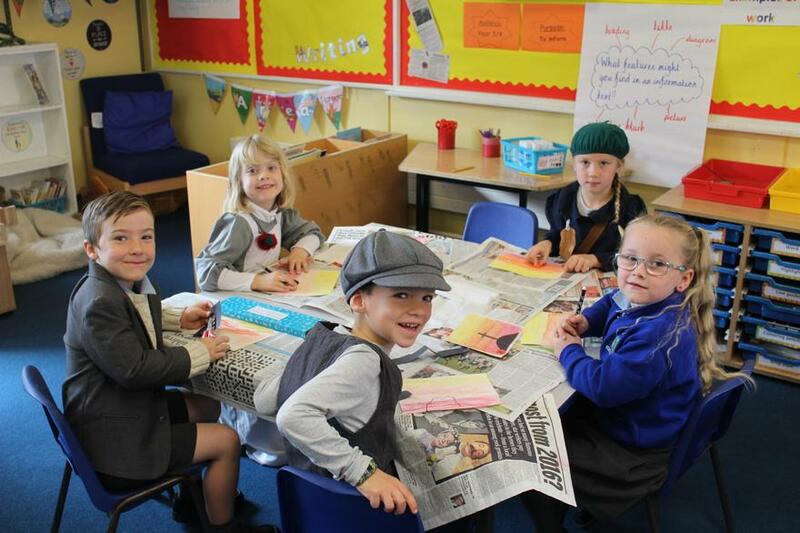 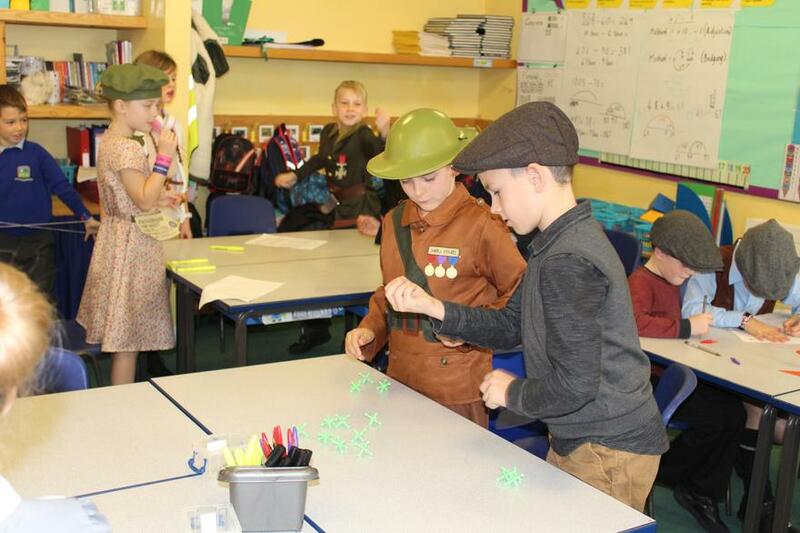 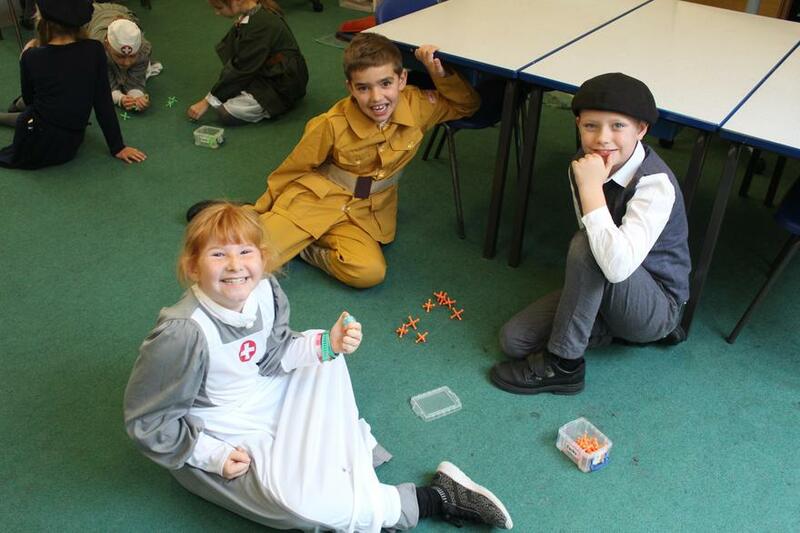 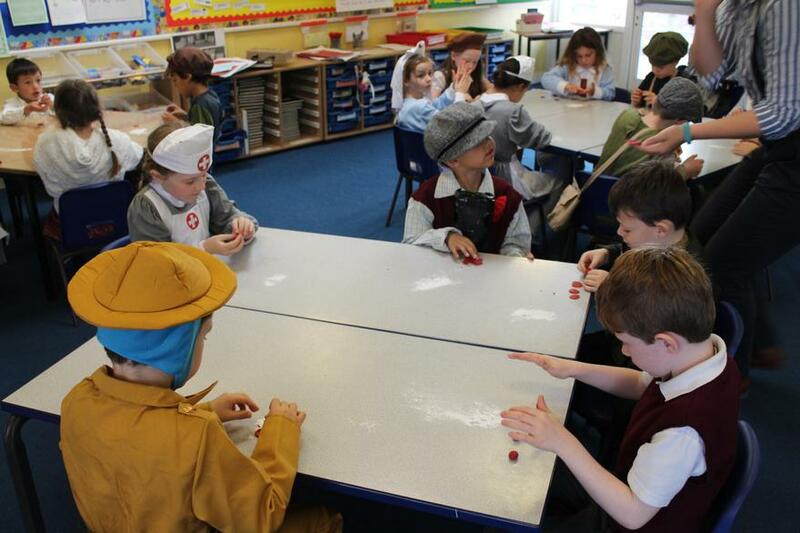 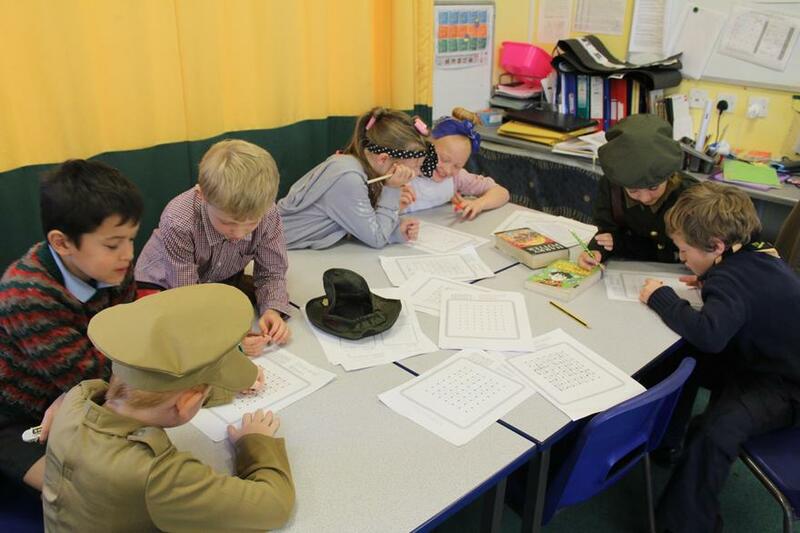 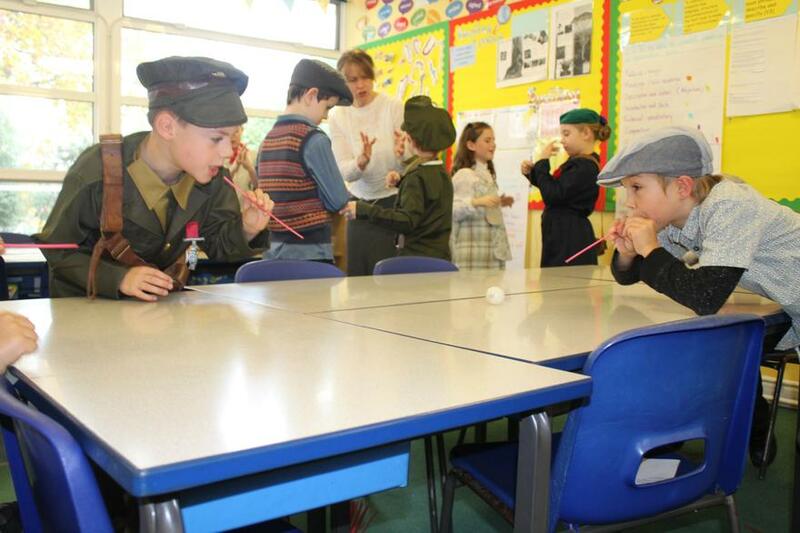 The children enjoyed activities such as old fashioned games like cats cradle, jacks and battleships. 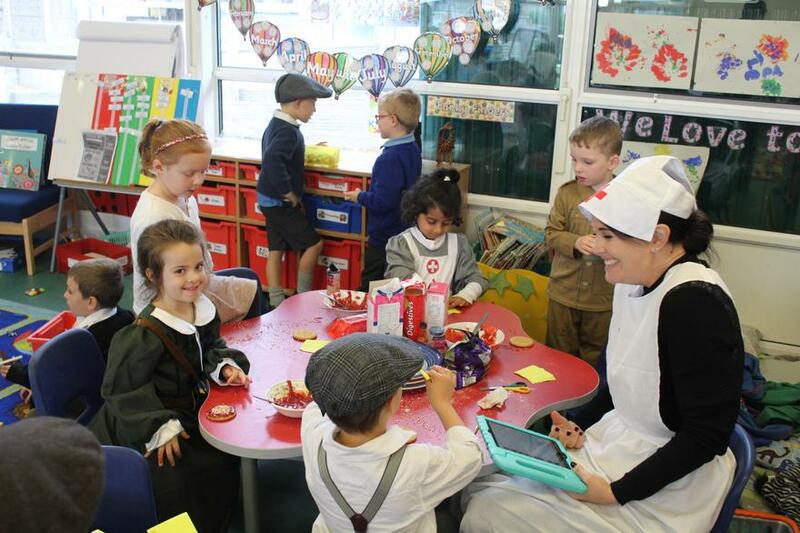 Year R decorated some biscuits, and Year 1-2 made a lovely poppy cake for the tea party. 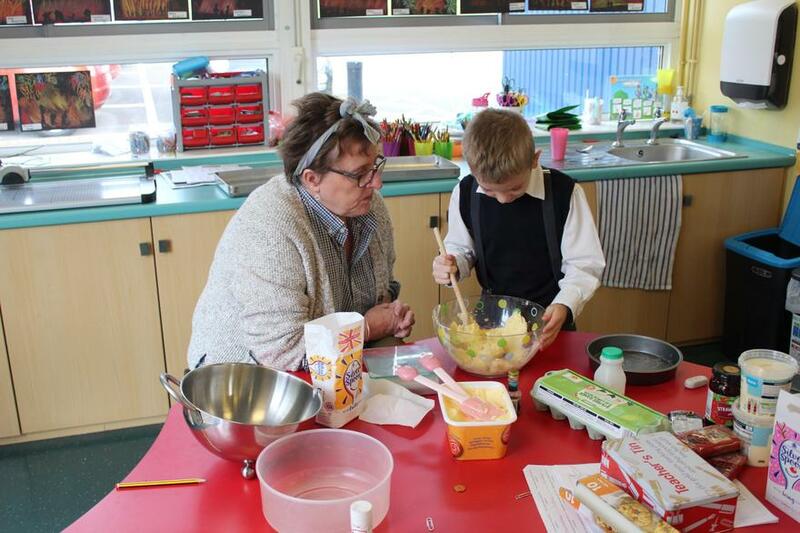 Year 5-6 made the sandwiches and Year 3-4 made the shortbread. 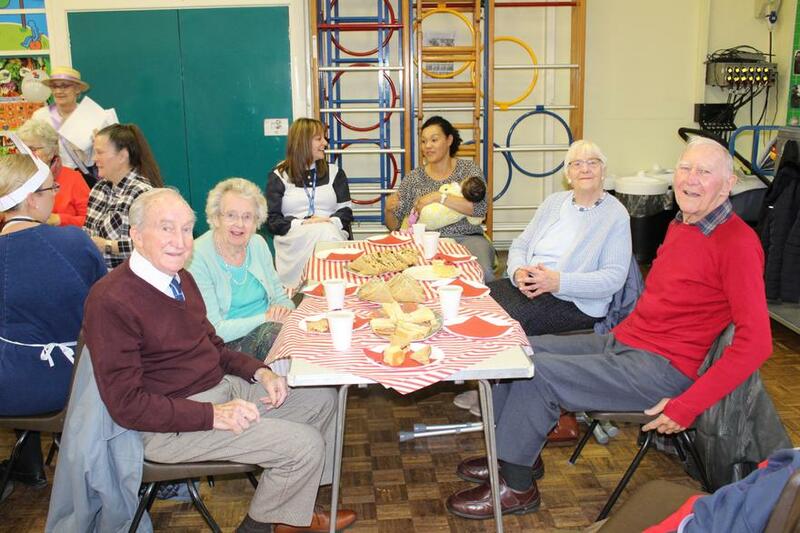 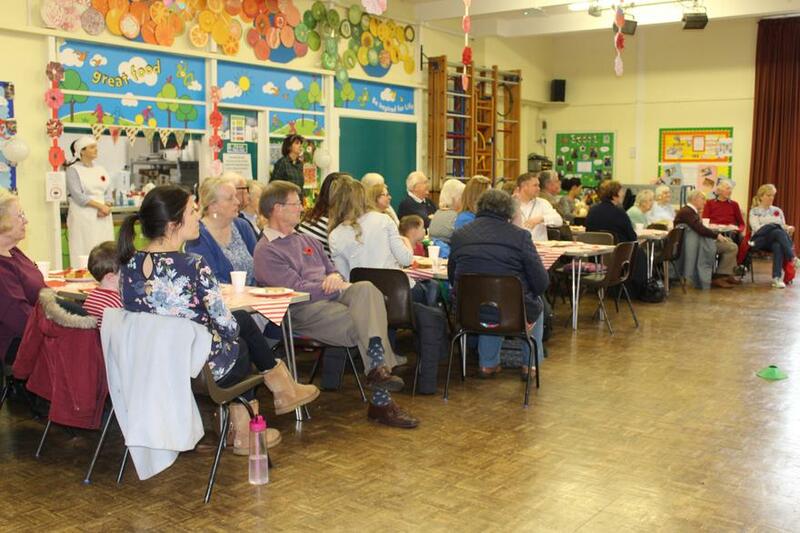 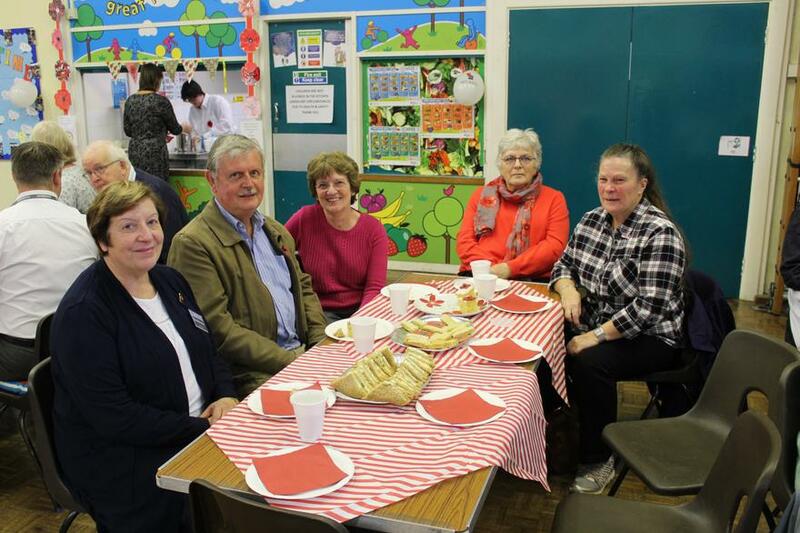 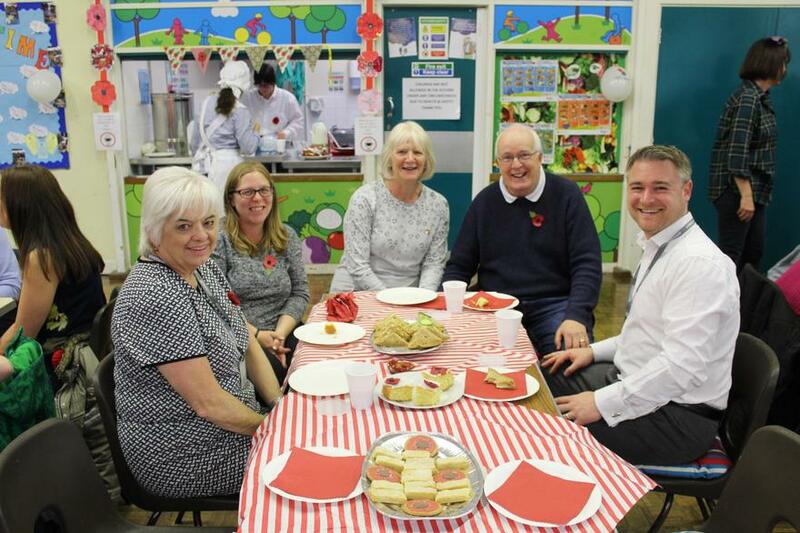 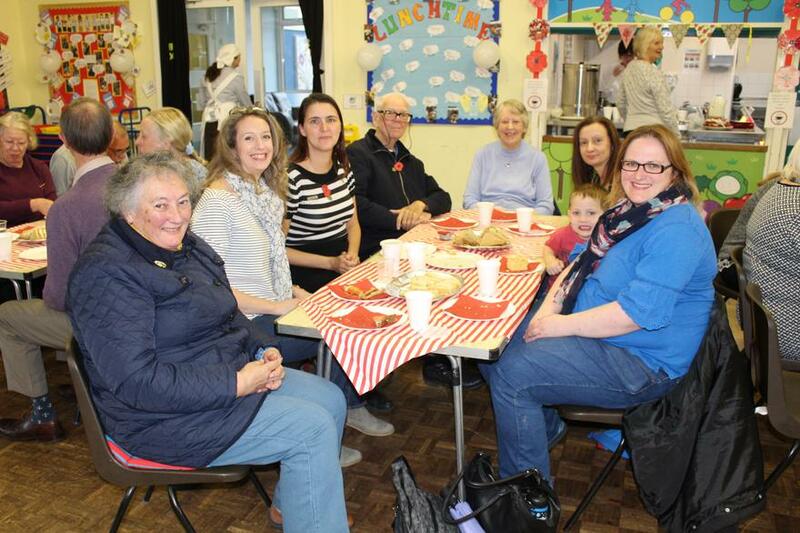 We invited local residents to afternoon tea and to hear our choir sing wartime songs. 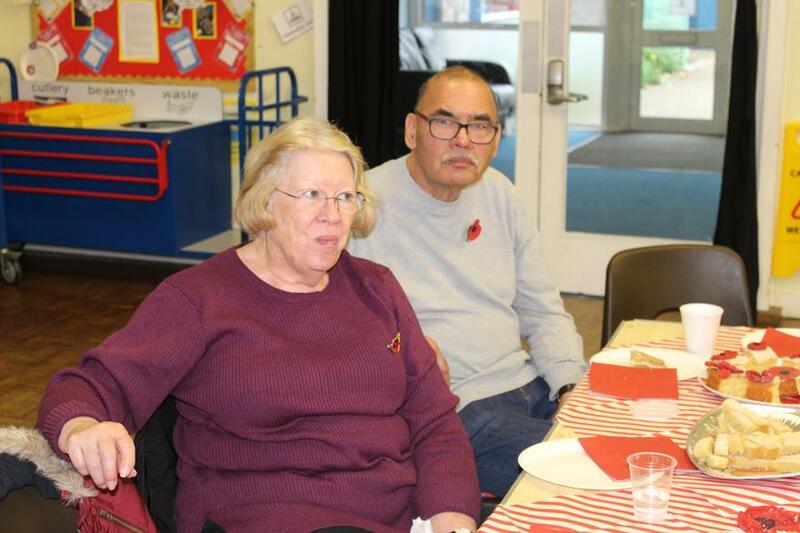 The residents made some lovely comments about the children and the school.